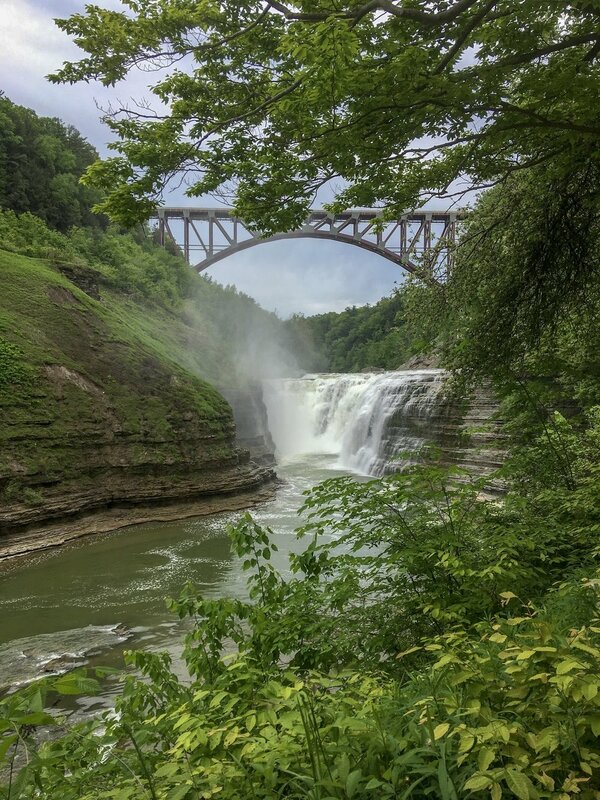 Known as the “Grand Canyon of the East”, Letchworth State Park was voted as the Best Attraction in New York State and the Best State Park in the United States by USA Today in 2015. It’s a pretty incredible place to visit for a day hike with the Genessee River roaring through the gorges. Just an FYI: the park is very long and narrow, making it difficult to see the entire thing, so focus on either the north or south portion. If you enter through the Castile entrance on the southern portion, you will be immediately greeted with views of the gorge to the north and south. Venture on the lower falls area and park. From here, you can take the trail to see the lower falls, the middle falls and the upper falls, all different and beautiful in their own accord. Along the trail, you will be walking along the top of the gorge with views almost the entire time. 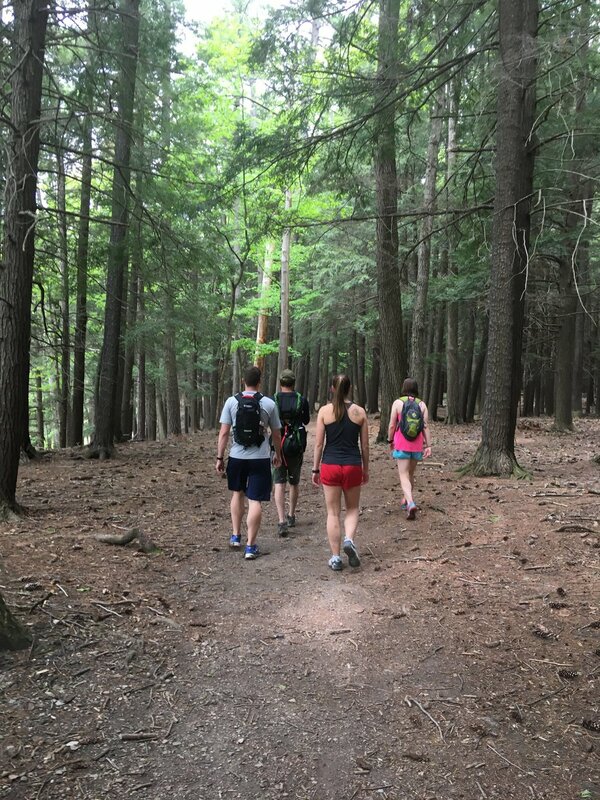 It’s about a 6-mile roundtrip hike. The former estate of William Letchworth is now a historic inn and restaurant with views of the middle falls. Try the New York State Salad with local cheese! If you eat here, make sure to bring your admission ticket to the restaurant….you get the cost of admission ($10) reimbursed. You are able to kayak and whitewater raft through the gorge as well, although this was not on our itinerary. While we were there, hot air balloons traversed along the gorge, which was gorge-ous! You are also able to take a hot air balloon ride. Since this is not a national forest or park back-country camping is not allowed. Instead, plan on going for a day trip from one of the nearby lakes, or pitch a tent and spend the night! Have you ever been to the “Grand Canyon of the East?” Let us know your thoughts about the trip below!